December marks a busy shopping season and an end to a lovely year. I want to wax philosophical about the things I've learned and am still learning, but I must save that for January ('tis appropriate, no?). For the holidays I have been keeping busy making sure everyone gets that perfect handmade creation for their loved ones, and wrapping up the last projects for the year... and sketches for next year's paintings are now lingering in my studio! They want to be created so badly, I must get myself in gear! For December I will be participating in two events, both happening on December 9th. In the Plaza District here in OKC during Live! you can find a piece of mine available this night at The Society- a space founded by artist Jerrod Smith with the mission of giving diverse artists in our area an outlet for producing exceptional work for each other, our collectors and also to give back to the community through collaborative encouragement. To keep the artists going strong The Society is having a Small Works show and auction Dec 9th from 5pm-11pm. Check out the FB event here for more info and to RSVP. There will be some amazing local art here all starting under $100- including some of my personal faves- Jerrod Smith (of course) and Japanese-American mixed media painter JUURI! I hope you can make it out to support your local artists. 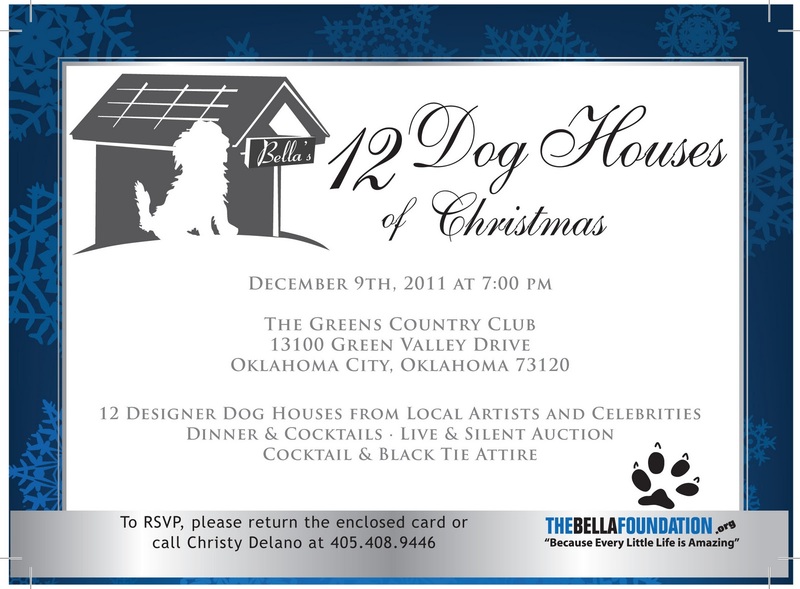 Also on December 9th, I will have a hand painted dog house up for auction benefitting the Bella Foundation. The 12 Dog Houses of Christmas event will feature artist and local celebrity designed/painted doghouses (I hear Rumble the Bison, the OKC Thunder mascot, is also making one!) and art pieces to be auctioned off to benefit this organization which finds homes for abandoned pets. This is a ticket event with dinner and cocktails- for more info please check out the Bella Foundation website or the FB event here. In the next days I will post pics of my house and the process of its creation so you can see what I have been up to! Also the last little thing, if you are not around Oklahoma but are seeking some art for your walls- I have added prints of my Sunbathing Mermaid to my Etsy Shop! This original sold 2 days after I posted the image and I have been wanting to get a quality print of it for some time on a watercolor paper, now it is ready! My coupon code still applies for these (see one blog post back to see what the code is!) 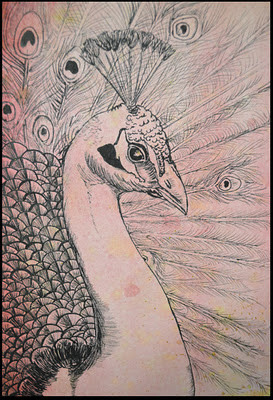 and they are ready to go out to you with certificates of authenticity :) I am excited to add more giclees to my shop. 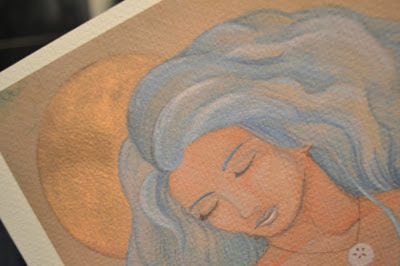 Here is a detail shot to show you how the gold tones came out. sunbathing mermaid prints are ready! what do you think?